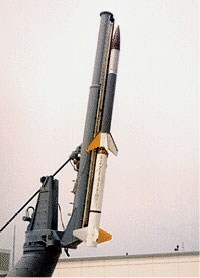 The Terrier-Malemute is a two-stage, solid fuel rocket consisting of a Terrier 1st stage and a Malemute 2nd stage. 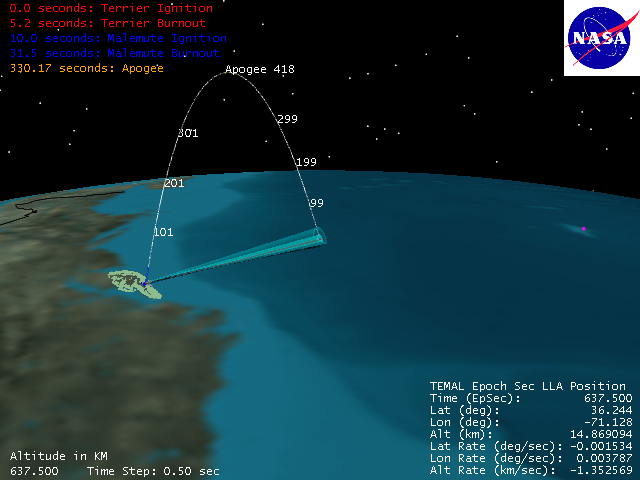 It is capable of lifting a 200 lb payload to an apogee of approximately 700 km or a 500 lb payload to approximately 400 km. 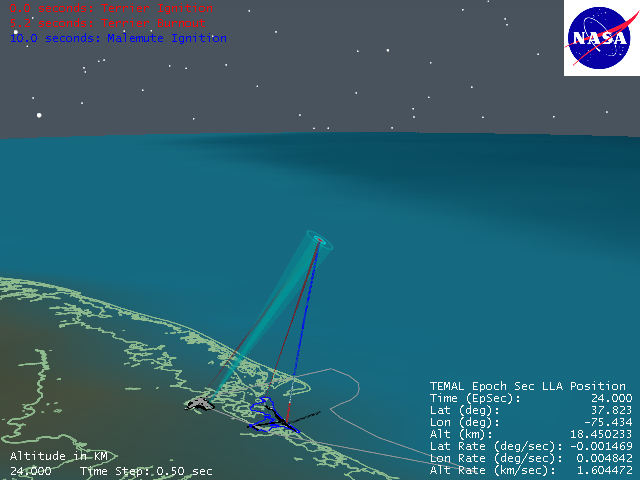 The video below is a Satellite Tool Kit (STK) representation of a Terrier-Malemute launched from the Wallops Flight Facility. 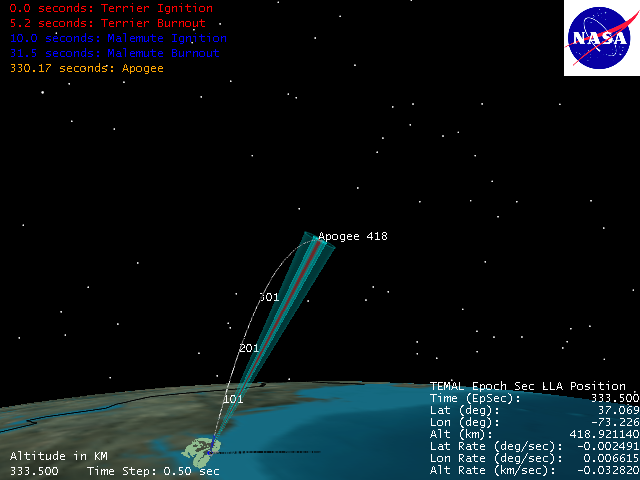 Shown is the launch with radar and telemetry tracking, the full trajectory of the vehicle, as well as stage events and apogee. The time step of this video is 0.50 seconds. 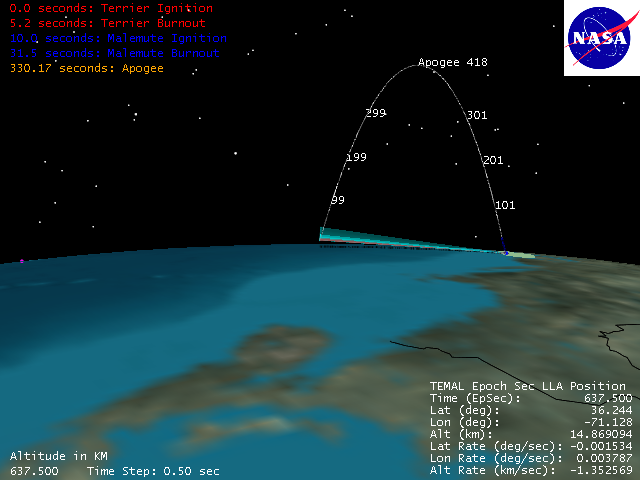 WFF launch: w_temal_50.avi (61.6 Mb). 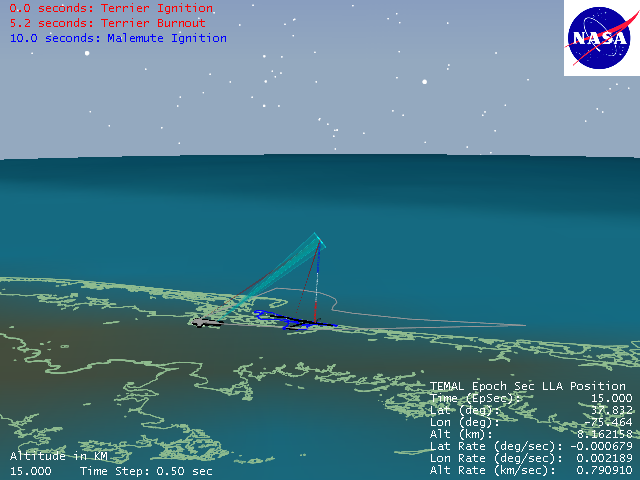 Listed below are various screenshots from the STK scenario of this Terrier-Malemute launch. The AGI Viewer is required in order to view a VDF file type. Using this viewer allows for user interactivity (zoom, pan and adjusting time step). Download the free AGI Viewer at www.stk.com.